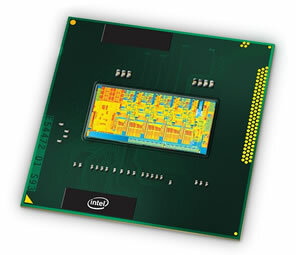 Intel's Atom Clover Trail platform and its Cloverview processor are being designed to work with Microsoft's Windows 8. The platform is being timed for a release with Windows 8 (or for the second half of 2012) and it will be a "nice one-two chip-software punch," Bill Kircos, Intel's Director of Product and Technology Media Relations, told This is my next. In other words, while Intel isn't willing to share an exact month or quarter timeframe for the two, the company is making it clear that its platform will either beat or meet Windows 8 timing. The x86 Atom architecture is expected to power tablets, netbooks, slider devices, and so on. Cloverview details are still unknown, but we do know the Atom processor is part of the 32nm Saltwell family. Of course, prior to Clover Trail, Intel will manage to push out Cedar Trail (netbooks, entry-level desktops, and all-in-one computers) and Medfield (smartphones) as well. Microsoft announced earlier this year that Windows 8 will support Intel, AMD, and ARM architectures. The company gave its first preview of Windows 8 earlier this month, showing off a new touch-oriented UI: icons are replaced by big tiles that can be customized to show live information or launch applications. Windows 8 could hit the release to manufacturing (RTM) milestone as soon as April 2012. Although a rumor suggests that Windows 8 will arrive on January 7, 2013, we expect that the operating system will ship in time for the 2012 holiday season. In fact, Microsoft CEO Steve Ballmer has said Windows 8 is coming in 2012, but Microsoft quickly claimed this was a misstatement.